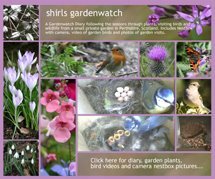 shirls gardenwatch: Counting… no Sparrowhawks please! You like to feed here on occasions too. I also know you like to practice your flight craft and hang around listening to the sounds of the garden. What if I tell you that it would be in your interest to support the Birdwatch this weekend too? You see, the stats that we window bird watchers collect this weekend are regarded valuable by the RSPB as it helps them understand more about why birds are in decline and what they can do to help them. Can you see the fuller picture Mrs Sparrowhawk? If you need to visit my garden could you come by early in the morning or late in the afternoon? If you just miss out the main part of the day that would do my count nicely. It would be greatly appreciated by everyone concerned. 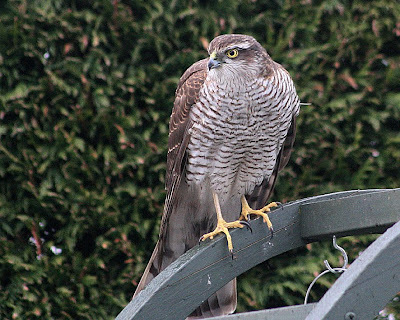 You see, Mrs Sparrowhawk, in previous years you’ve appeared just 10 minutes into my count and the results I submitted to the RSPB were very low and not at all a true reflection on the bird numbers and species regularly visiting my garden. That has disappointed me. Yes, you heard right Mrs Sparrowhawk, the RSPB do say that although this can be the case with some birdcounts overall the stats even out and every birdcount submitted does make a difference. What’s that Mrs Sparrowhawk? Ah yes… thinking about this with your parent hat on, some people may be new to the RSPB Birdcount this year and might need some stories and advice to get them going? This year I’ve enjoyed the opportunity of chatting to a whole different audience at the Dobbies Blog. 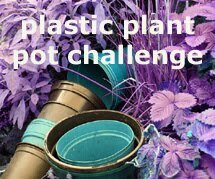 I was invited to write a guest post over there for the RSPB Big Garden Birdwatch. You can read my story here and posts by other bloggers too. Sharon at Shazza’s Backyard Blog gave bird feeder tips. Warren Baker at Pittswood Birds posted on a dummy run for his count which is something every year I consider doing but haven't yet. 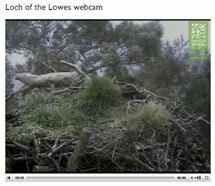 Craig Nash at Peregrines Bird Blog chats about bringing birds in to his feeders and taking photographs. 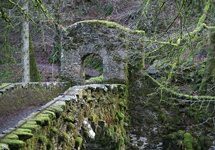 I'd like to invite everyone to pop over to read their postings (mine too) where you'll get links to their blogs also. I too wanted to count birds this year but have had four varieties of hawks in my garden to date and one falcon. I have photos of two of them, one feasting on a very slow moving dove. My yard is littered with feathers and blood stains, and I have a TINY city garden. Now the birds rarely visit my feeders anymore. I would not have had as nice a conversation as you with the hawks. These raptors have ruined my birdwatching. But, I guess they have to live too, but what is wrong with picking off rodents at the gorge. No reasoning with these creatures. Wonderful photo of the sparrowhawk! Hope you have a real good count. Wonderful photo of the sparrowhawk...I do hope she listened to you and you have a great bird count and can even enter a few "unusual" birds on your list. Please update us on the outcome. 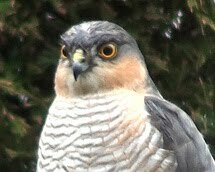 Hope you manage a count without Mrs Sparrowhawk. I had a visit from Mr. Sparrowhawk, unsuccessful. It didn't put the small birds off for long as they were too hungry. what a great pic! hope she stays aways during your hour of counting though. this is the first year i've taken part and ... where are all the birds?! 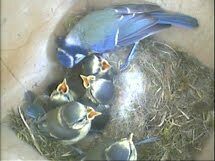 they normally descend in their hordes about ten minutes after i put their food out but today - nothing! I first heard about this survey from one of your comments on my blog, Shirl, but I totally misunderstood you. Here in the US we have The Great Backyard Bird Count, but you can count all day. A visit from a predator then doesn't have as much impact on the numbers. Also, "sparrowhawk" is the old name for American Kestrel, which is what I thought you meant. Now that I see your photo, I really understand why her visit can make such a difference. Cool photo! Donna, very sorry to hear birds don’t visit your garden any more. I don’t like to see our hawk catch and eat in my garden and generally go out to chase it off. However, I have finally come to accept that they need to eat too. I often see Buzzards roadside (another bird of prey here) and although they hunt too I do like the idea that they often eat from dead birds/animals found along roads. Helen, it really is weird how our counts see fewer birds than usual. Mine looked like they were hiding too – although I was surprised to see a wren at the time of day I chose. Pity about the scarcer birds, I don’t usually have anything for that. Hi Shirley, Cute post. 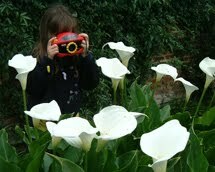 We went birding this weekend. Drove 5.5hours to see a Slaty-backed Gull. A lifer for me. Only the second record for this bird in our State. Fun, worth the drive.